This is a long overdue post from early August! So sorry everyone, but I've been experiencing a huge overflow with cake orders and commitments over the last couple of months. It's been seriously overwhelming and I'm struggling to keep up with all the orders, emails, instragramming, FB'ing, photos, and so forth. I'll soon need an assistant! Anyone interested? Who on earth thinks of putting footprints in the lift?! Party favours. Look at those tags!! When it came to the cake, the client already had an idea of what she wanted. She provided me with the photo of an existing cake, but I could add my own personal touches to it. 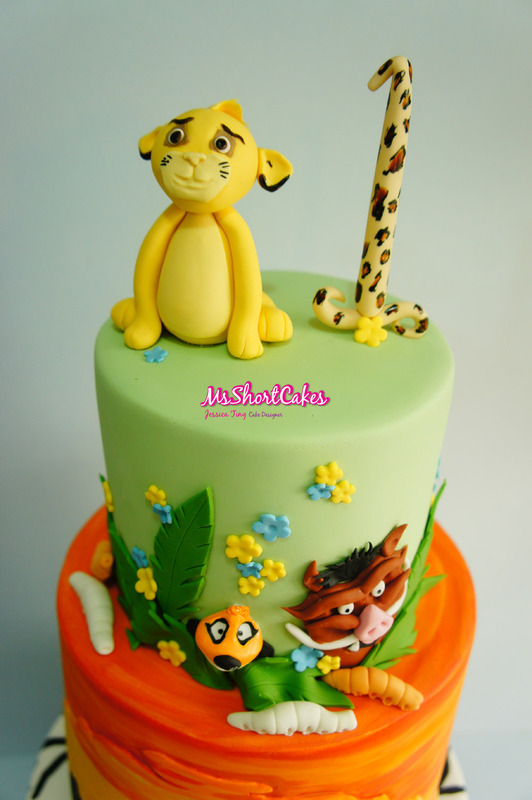 The original design came from Peggy Does Cake, and it was a 2 tiered cake. 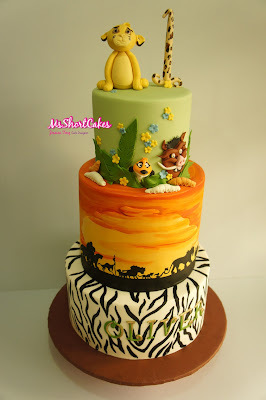 I was to make a 3 tiered cake, and to keep within the theme of the jungle safari/Lion King theme. 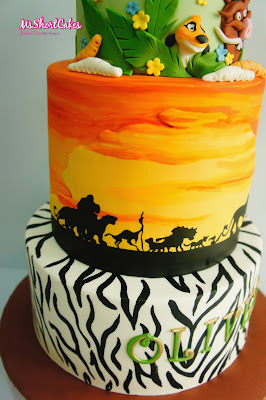 I hand painted the zebra stripes on the bottom, as well as the silhouette of the animals from one of the scenes from the movie. The sunset is also hand painted. 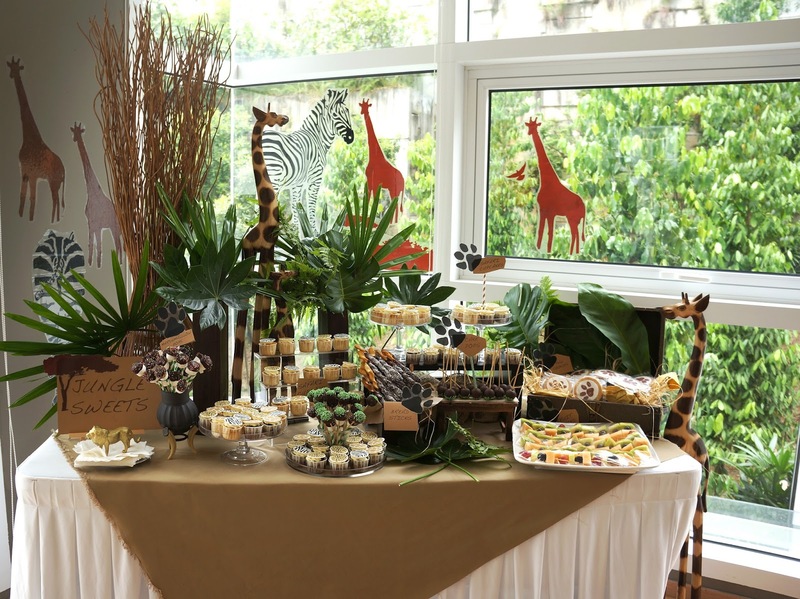 Where did you find the gold animals?